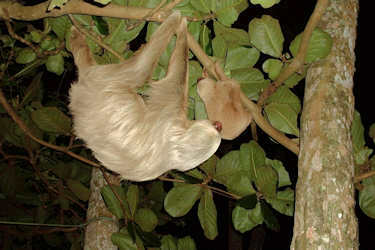 Humans have inhabited the rain forests of Costa Rica for 10.000 years. The region long served as an intersection for America’s native cultures. The region hosted roughly 20 small tribes, organized into Chiefdoms, indicating a permanent leader, or Cacique, who sat atop a hierarchical society that included shaman, warriors, toilers and slaves. Guayabo contains the only major archaeological site, which is thought to be an ancient ceremonial center, it featured paved streets, an aqueduct and decorative gold. To the east, the Carib Indians, naked and fierce, dominated the Atlantic coastal lowlands. Adept at seafaring, the Carib tribes were a conduit of trade with the South American mainland. The Indians in the northwest were connected to the great Meso-American cultures. Aztec religious practices and Mayan jade and craftsmanship are in evidence in the Península de Nicoya, while Costa Rican quetzal feathers and golden trinkets have turned up in Mexico. The colonial period began when Christopher Columbus reached the eastern coast of Costa Rica on his fourth voyage on 18 September 1502. Numerous subsequent Spanish expeditions followed, eventually leading to the first Spanish colony, Villa Bruselas in Costa Rica in 1524. During most of the colonial period, Costa Rica was the southernmost province of the Captaincy General of Guatemala. 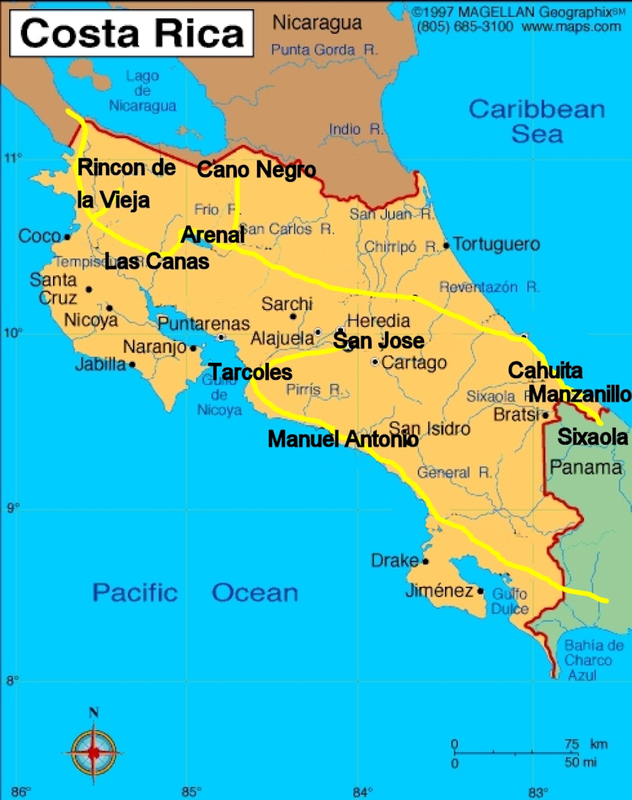 Costa Rica's distance from the capital in Guatemala and the lack of resources such as gold and silver, made Costa Rica into a poor, isolated, and sparsely inhabited region within the Spanish Empire. Costa Rica was described as "The poorest and most miserable Spanish colony in all America" by a Spanish governor in 1719. Like the rest of Central America, Costa Rica never fought for independence from Spain. On September 15, 1821, after the final Spanish defeat in the Mexican War of Independence (1810–21), the authorities in Guatemala declared the independence of all of Central America. In 1856, William Walker, an American filibuster began incursions into Central America. After landing in Nicaragua, he proclaimed himself president of Nicaragua and re-instated slavery. He intended to expand into Costa Rica and after he entered Costa Rican territory, Costa Rica declared war. Led by Commander in Chief of the Army of Costa Rica, President Juan Rafael Mora Porras, the filibusters were defeated and forced out of the country. An era of peaceful democracy in Costa Rica began in 1869 with elections considered the first truly free and honest ones in the country's history. Costa Rica has avoided much of the violence that has plagued much of Central America. Since the late nineteenth century, only two brief periods of violence have marred its democratic development. In 1917–19, Federico Tinoco Granados ruled as a dictator, and, in 1948, José Figueres Ferrer led an armed uprising in the wake of a disputed presidential election. In 1949, José Figueres Ferrer abolished the army; and since then, Costa Rica has been one of the few countries to operate within the democratic system without the assistance of a military. It was part of my 30 days trip to Central America. See my "Things to do " pages for more pictures.